Browse mobileiGo.com for all your car accessories needs and desires. Buy discount and affordable car chargers, discount car jump starters and battery tenders, the best dash cams, GPS navigation systems, radar/laser detectors, CB radios and scanners and so much more. Remember, we donate 5% of all profits to a charity of your choice for each and every order. 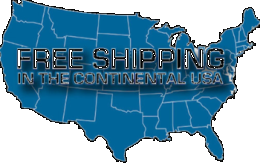 And we ship most items worldwide with real personalized guaranteed friendly customer service;. Buy with pride and confidence here at mobileiGo.com.